Definitions and examples of Chest Ultrasounds are presented in two views. An ultrasound of the chest uses high frequency sound waves to create a live image from inside of a patient’s body. It is a painless test that is very commonly used in the medical field today. An ultrasound is also sometimes referred to as a sonogram, diagnostic sonography, or ultrasonography. The medical professional that performs an ultrasound is called a sonographer. A chest ultrasound test creates images of all the organs and structures within the chest including the lungs, heart, aorta, trachea, esophagus, thymus, lymph nodes, and pleural space. A chest ultrasound can be used to guide doctors or surgeons during a procedure, such as a biopsy. They are important in planning for certain types of therapy and surgery, as well as in the aftermath to determine whether the patient’s body is responding to treatment. A chest ultrasound can be used to assess the movement of the diaphragm. Ultrasounds of the chest can be used to find the cause of chest pain or breathing issues. 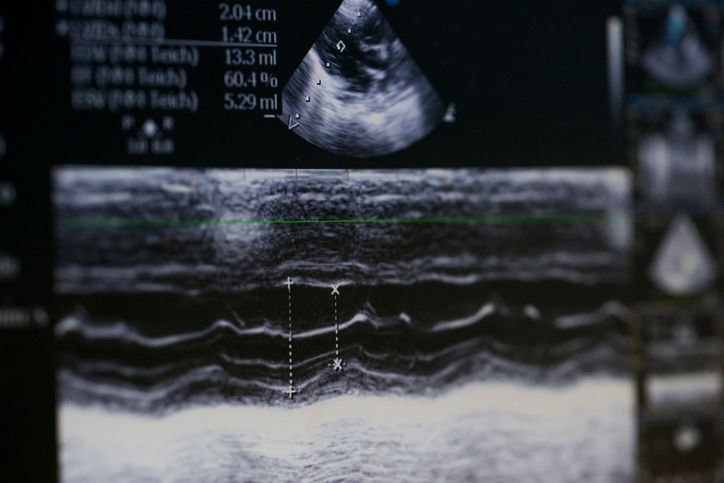 An ultrasound of the chest can be used to diagnose and examine excess fluid in the chest. A chest ultrasound can be used to guide a needle during a biopsy. 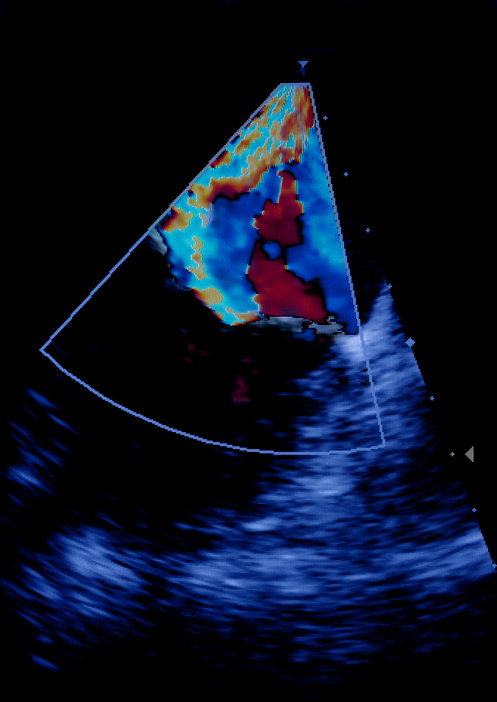 Above: Ultrasounds can measure the flow of the heart such as the atrioventricular valve shown here. Above: Heart ultrasounds can identify a problem with the heart such as a total mitral insufficiency shown here.